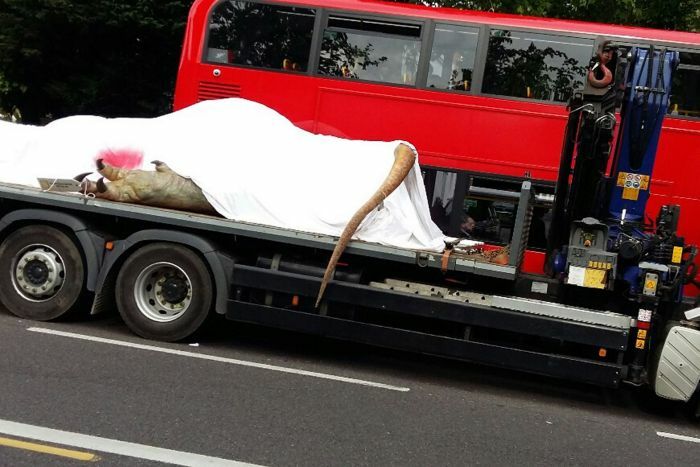 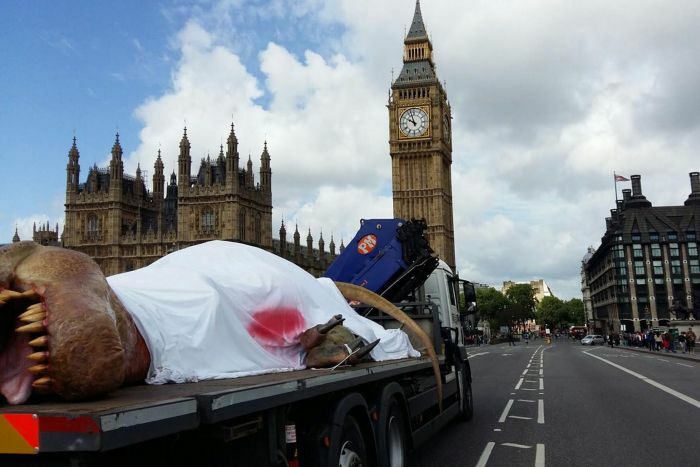 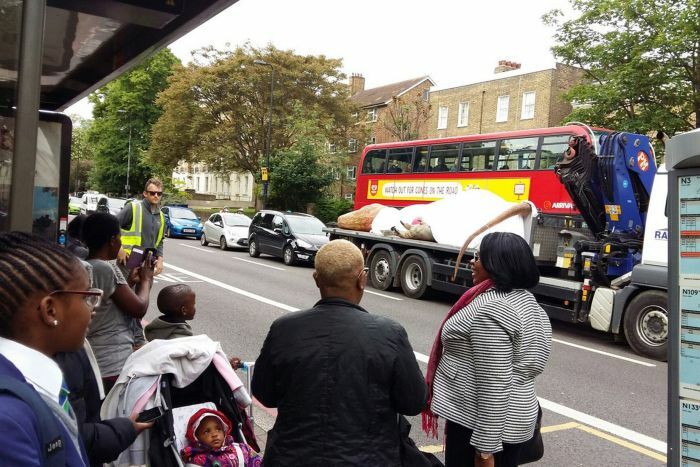 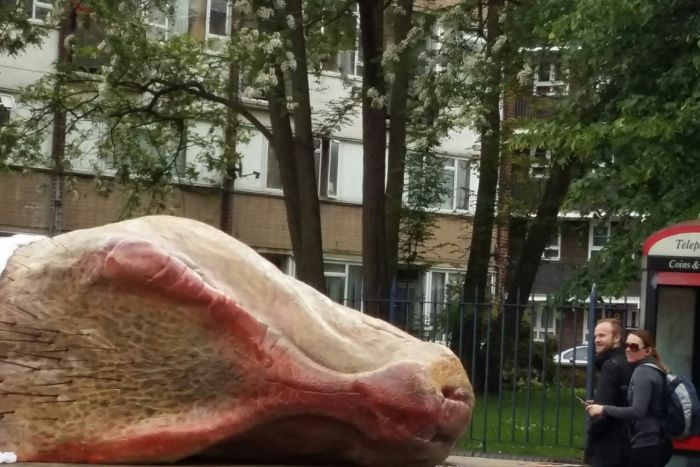 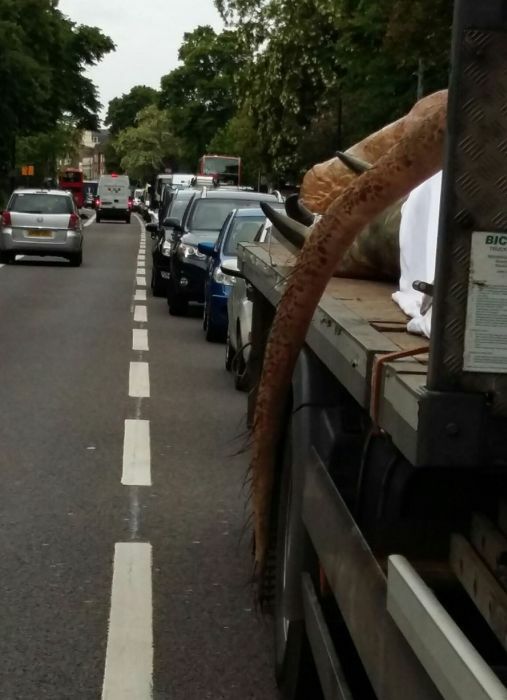 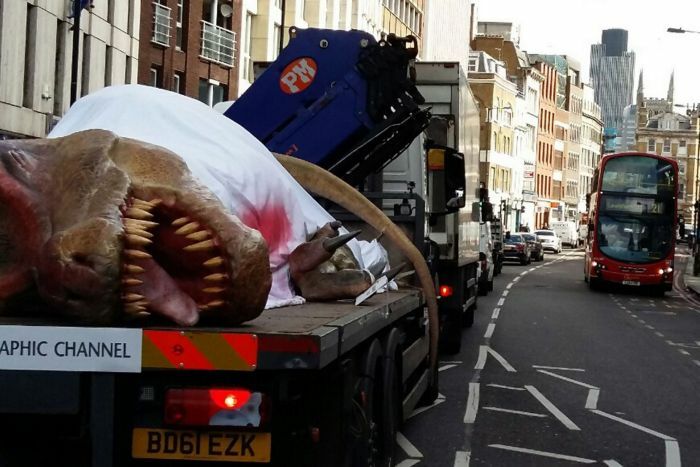 Citizens of London were stunned the other day when they saw a truck transporting a bloody T-Rex around the city. 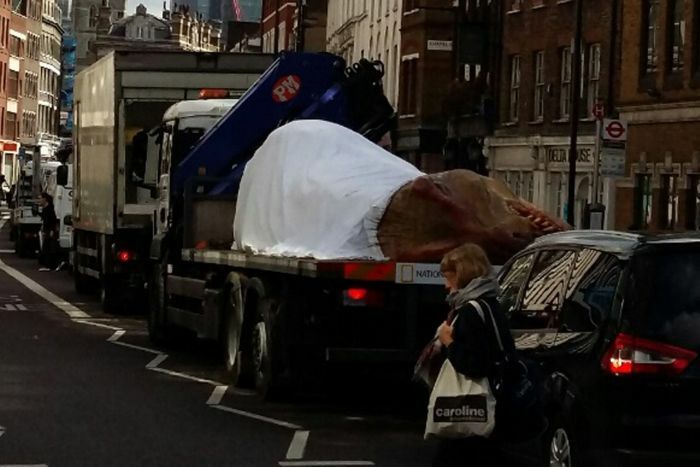 No one knew what to think or why they were seeing a dinosaur on the city streets. 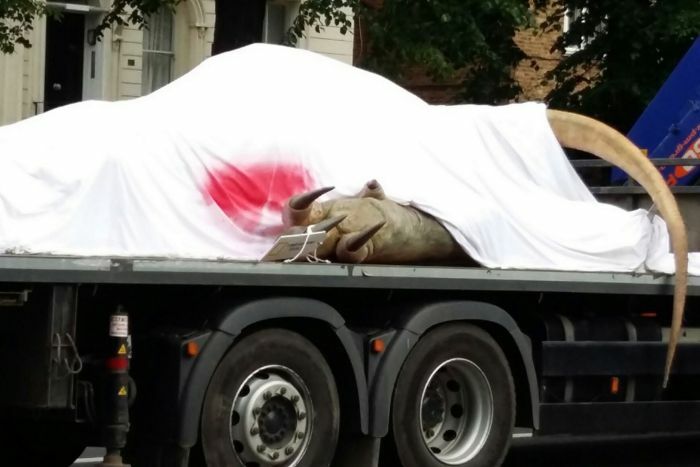 It turns out that the pranks was a promotional stunt for an upcoming TV show that's going to document an autopsy being done on a T-Rex. 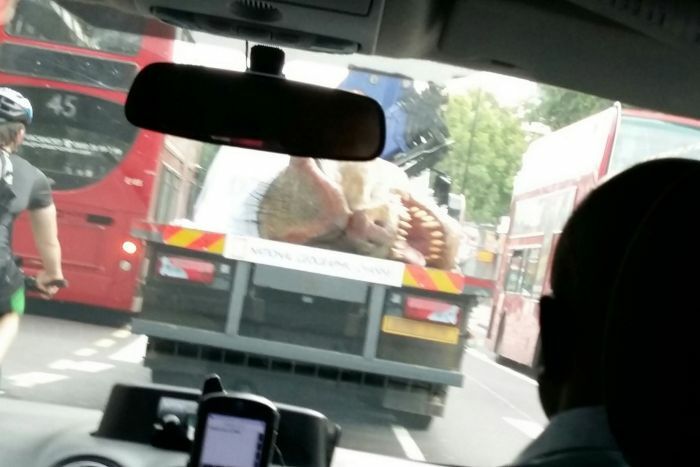 *holds a "sarcasm" sign, just in case.